Carver Heights Elementary School in Wayne County has been picked by the Innovative School District to become the 2nd NC school to be taken over by the state-run program created by the General Assembly in 2016. That takeover will not happen if district leadership and many in the Goldsboro school’s community have their way. 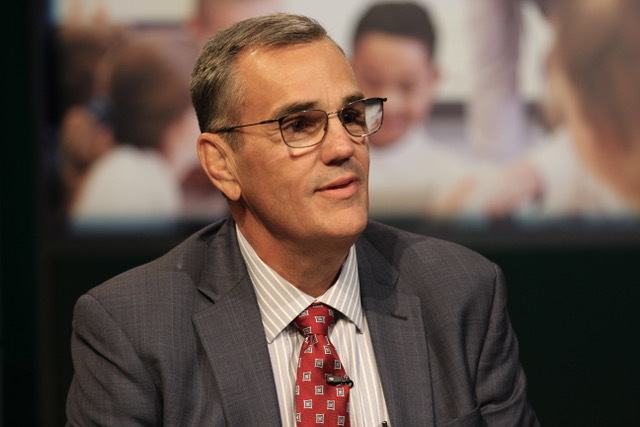 This week we talk to Wayne County Public Schools Superintendent Dr. Michael Dunsmore, as well as parents and community leaders, on how they plan to respond to the state’s plan to take over Carver Heights. 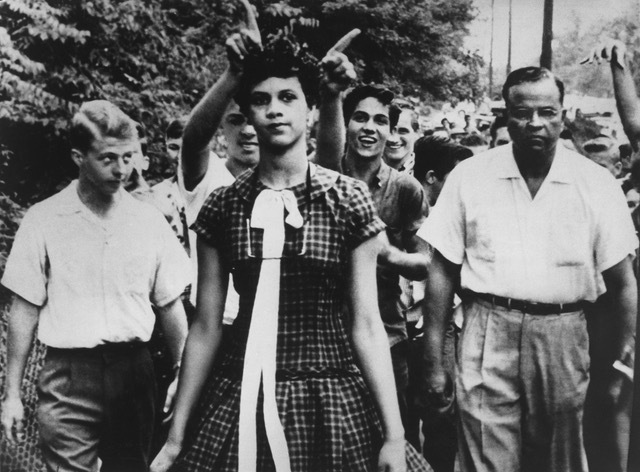 Dorothy Counts, center, tried to desegregate Harding High School in Charlotte on Sept. 4, 1957, but met hostility from white classmates and parents. Photo Credit: UNC library collection. On October 8, 1984, President Ronald Reagan made a campaign stop in Charlotte, just weeks shy of his landslide re-election victory. The previously raucous crowd of Charlotteans fell silent. An edited version of this article appeared this week in the Charlotte Observer and on the Capitol Broadcasting Opinion page. Poston, K. “When School Desegregation Mattered in Charlotte.” Public School Forum of NC. 10/25/18. Why Can’t NC Kids Read? Another Study Shows Read To Achieve Produced No Gains. Summer reading camps are one-way schools are helping struggling readers hone their skills. Under state law, third-graders struggling to read on grade level could be forced to repeat the grade. Photo Credit: Amanda Harris, The Herald. 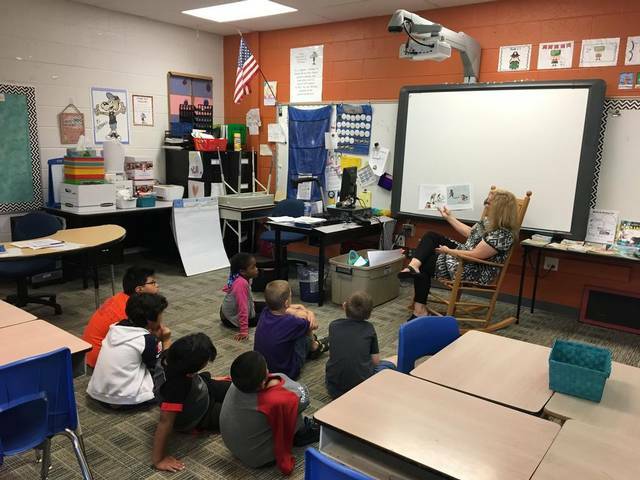 With five years of test scores showing little benefit from North Carolina’s Read to Achieve program, researchers from N.C. State University decided to dig deeper for hidden gains. That’s grim news for a state that has spent more than $150 million on a third-grade reading campaign, believing it could set young children on a path to academic success. In a study released last week, researchers from NC State’s College of Education found no benefit to holding students back if they couldn’t pass reading exams by the end of third grade, nor to giving them free summer reading camps. Doss Helms, A. “Why can’t NC kids read? Another study shows Read To Achieve produced no gains.” The Charlotte Observer. 10/22/18. The Latest SAT Scores Are Out. How Did North Carolina Students Do on the Exam? 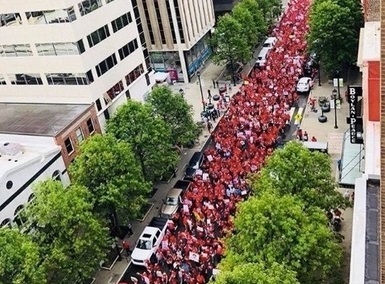 Public school teachers joined a ‘Rally for Respect’ in Raleigh in May to urge the General Assembly to increase education funding. Photo Credit: N.C. Association of Educators. In late summer 2011, after a rousing first session as North Carolina’s Speaker of the House, Thom Tillis met with a group of charter school advocates in Raleigh to tell them he’d only begun to deliver on school choice. The new legislature had finally lifted a 100-school cap that had been in place since the state first approved the publicly funded, privately run schools in the mid-1990s. Back then, believe it or not, there was bipartisan support. 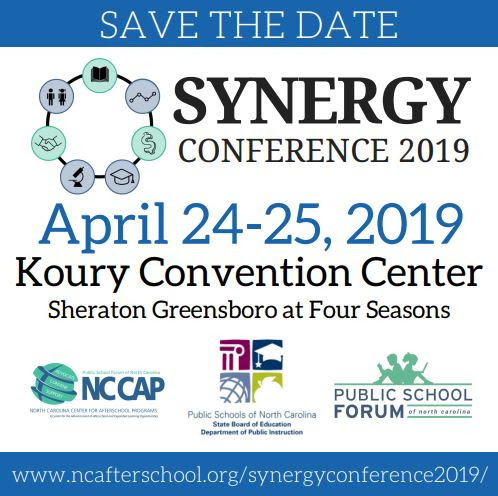 Over time, though, campaign contributions and lobbying groups fixed the inconveniences of unity and consensus, and throughout the 2000s Democrats and Republicans argued over the charter school limit. Pro-public school political action committees, such as one for the National Education Association, became big donors to Democrats, while Republicans like Tillis began receiving contributions from PACs such as Parents for Educational Freedom. It came as no surprise to anybody, then, that one of the first things legislative Republicans did after routing the Democrats in the November 2010 election was eliminate the cap. Graff, M. “The Real Bully in the CMS-Suburbs Debate.” The Charlotte Magazine. 10/22/18. 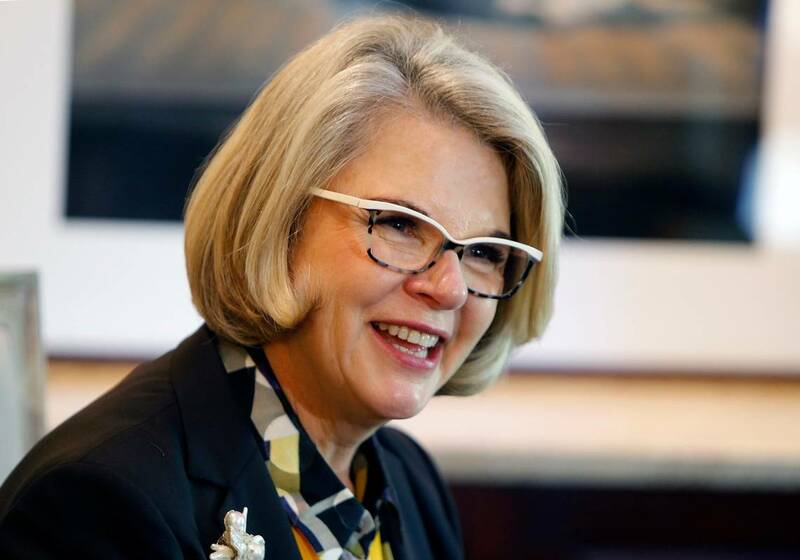 UNC President Margaret Spellings started her tenure in 2016. Photo Credit: Chris Seward, The News & Observer. UNC President Margaret Spellings will leave the job, after only three years leading the university system, according to three sources, including one with direct knowledge of the situation. In recent days, Spellings has quietly negotiated her departure with the UNC Board of Governors. Sources close to Spellings said she wanted to leave the post and return to her home state of Texas. The timing is unclear, but it could be early next year, sources said. Stancill, J. “UNC President Margaret Spellings is leaving the university system, sources say.” The News & Observer. 10/25/18. Photo Credit: Ben Mullins, Unsplash. The average score for North Carolina high school students on the SAT exam shot up 17 points this year, according to new results released early Thursday morning by the College Board. North Carolina’s Class of 2018 posted an average score of 1,098 on the SAT exam, compared to 1,081 for the Class of 2017. 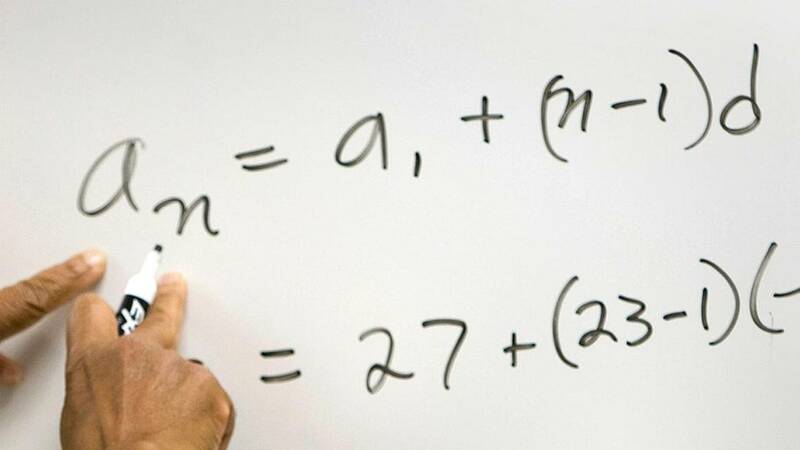 The state’s average score on the revamped SAT is now 30 points above the national average of 1,068, which was up eight points from the prior year. Hui, K. “The latest SAT scores are out. How did North Carolina students do on the exam?” The News & Observer. 10/25/18. 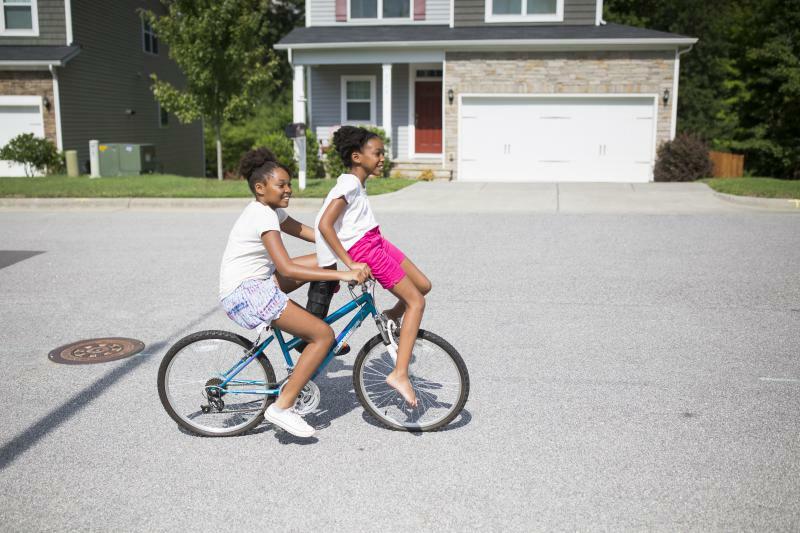 Kaiden gives her sister Karisma a ride on her bike as they play at home during summer break in Raleigh. While their mom Ayeisha Owens is at work, they stay at home with their great-grandmother. They make up games and dance routines and read books, but their mom still worries about them being bored. Photo Credit: Madeline Gray, WUNC. 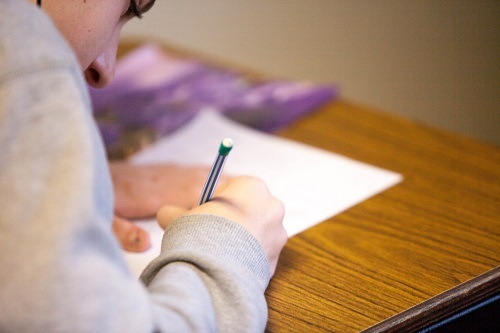 Low-income students stand to lose two to three months of academic progress over the summer when wealthier students are often making slight gains, according to the National Summer Learning Association. Researchers have come up with the “faucet theory” to explain why this happens. During the school year the faucet is on for all students, with school as an access point for learning, extracurricular activities, books, and even food. During the summer, it slows for disadvantaged students, but not for middle and upper class students who can afford things like family vacations, specialized summer camps, trips to museums, and home libraries. Philip, L. “The Cost Of Summer: With Camp Out Of Reach, A Raleigh Family Gets Creative.” WUNC. 10/23/18. The Rowan-Salisbury School District is considering making changes to hiring requirements for teachers as it looks to widen the field of candidates to educate your children. A new proposal being considered by the district drops a four-year college degree requirement for applicants hoping to be hired as a teacher. Instead it requires a relevant degree, relevant work experience, a 2.5 grade point average and successful completion of orientation. “Rowan-Salisbury School District considers changes to teacher hiring requirements.” WSCO-TV. 10/23/18. Parents and community members called upon the Durham school board Thursday night to address racial disparities in academic and disciplinary practices. Photo Credit: AP file photo. The Durham school board got an earful Thursday night with 15 people, almost all black or Latino, urging Durham Public Schools to do more to address racial disparities in the district. 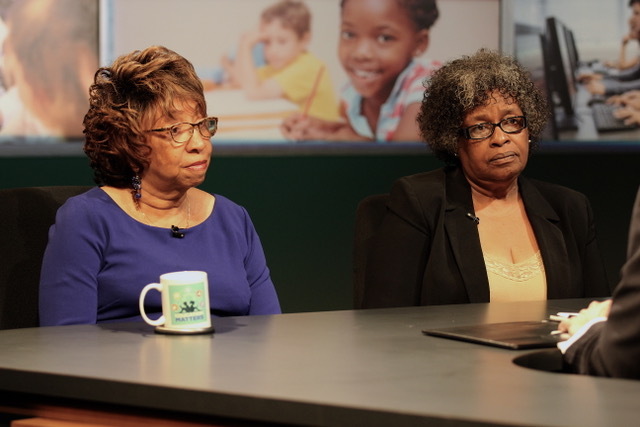 They talked about the low percentage of black and Latino teachers in the district; restorative justice, an alternative method of discipline that can avert suspensions; and the achievement gap between black and Latino students and students of other races. Goad, M. “Parents tell Durham Public Schools to address racial gaps in achievement, discipline.” The News & Observer. 10/19/18. Edward Lawson checks to see if a student is on the list to enter the before school activities program at Julian Thomas Elementary School in Racine, Wisconsin. Photo Credit: Bill Schulz, Milwaukee Journal Sentinel via USA Today Network. This story was reported by Beatriz Alvarado, Thyrie Bland, Jason Gonzales, Leigh Guidry, Rick Hampson, Bracey Harris, Lori Higgins, Joe Hong, Austin Humphreys, Kristen Inbody, Annysa Johnson, Byron McCauley, Amanda Oglesby, Kelly Ragan, Meg Ryan, Lindsay Schnell, Devi Shastri and Alden Woods and written by Hampson, USA TODAY. It’s shortly after dawn when Edward Lawson, one of America’s 3.2 million public school teachers, pulls his car into the parking lot of Julian Thomas Elementary in Racine, Wisconsin. He cuts the engine, pulls out his cell phone and calls his principal. They begin to pray. Hampson, R. “We followed 15 of America’s teachers on a day of frustrations, pressures and hard-earned victories.” USA Today. 10/19/18. Heaps of debris surround the damaged gymnasium at Jinks Elementary School in Panama City, Fla., where Hurricane Michael caused widespread destruction. Photo Credit: Scott Clause, The Daily Advertiser via AP. Getting back to normal after a devastating hurricane is long, arduous, and expensive for schools. In Florida’s Panhandle, education leaders have started the strenuous work of cleaning up and repairing schools ravaged by Hurricane Michael earlier this month, but they are also running into a longer-term problem: steep cost estimates that could lead to mounting piles of bills. In North Carolina, where Hurricane Florence walloped communities across the state and some schools remain closed more than five weeks later, education officials are just now getting a clear picture of the storm’s heavy hit to districts’ finances and the deep emotional blow to students, teachers, and school communities. Some districts were running into roadblocks with their insurance providers—including the state education agency—over what storm damage would be covered. Superville, D. “Hurricanes Deal Deep Blow to Schools’ Finances.” Education Week. 10/19/18.